Specific chiropractic adjusting to restore anatomical balance and physical function. Stretching protocols, weight lifting, aerobic exercise and nutritional mandates are additionally provided to ensure athletic performance enhancement. 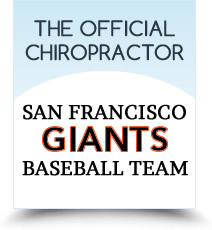 Three World Series Rings: Team Chiropractor for the San Francisco Giants! Dr. Gazdar has received extensive postgraduate study in the care of the elite and professional athlete, and attained his C.C.S.P. (Certified Chiropractic Sports Physician) degree after a one-year course regimen of diligent focus and mastery. Sports injuries are caused by repetitive low impact movements or high intensity and high magnitude movements such as being tackled in football. These injuries cause damage to the tissues of the body and create imbalances in the musculoskeletal and nervous system. The sooner treatment is initiated following injury, the sooner the athlete (or weekend warrior) will be back to pain-free participation in activities. Soft tissue healing normally takes about six to eight weeks in the average person. In the elite athlete, however, they can often return to sports-related activity in half the time. This is because they are typically stronger, follow a regimented routine, are highly motivated, used to training and much healthier overall. 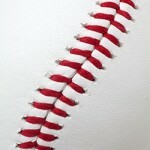 Discover how we can provide care for sports chiropractic in Walnut Creek! Contact us at (925) 939-2225 today!